Now you don't need someone to tell you what's best for you. Remember the time when you were deciding which degree to pursue or which university to attend? Or whether to choose a subject that you have been excelling at or are truly passionate about? Or whether to just follow the crowd? These decisions can be both exciting and intimidating at the same time because they basically determine the path that you are going to take in life. So your life after secondary school is the stage where you begin to explore all the possibilities – a change in environment to wipe the slate clean, a new social circle with like-minded peers and a journey of self-discovery. Unfortunately, some students are unable to fulfill these aspirations for various reasons, such as financial constraint, peer pressure, parental expectations, poor grades, or lack of information and guidance. So they end up wasting their university years away chasing something that was never meant to be. After years of observing how students and parents continuously seek out to find the right course, a group of people decided to step up and educate people about the options that are available for them and the different pathways they can take to achieve their career goals in life. Hence Uni Enrol was born. 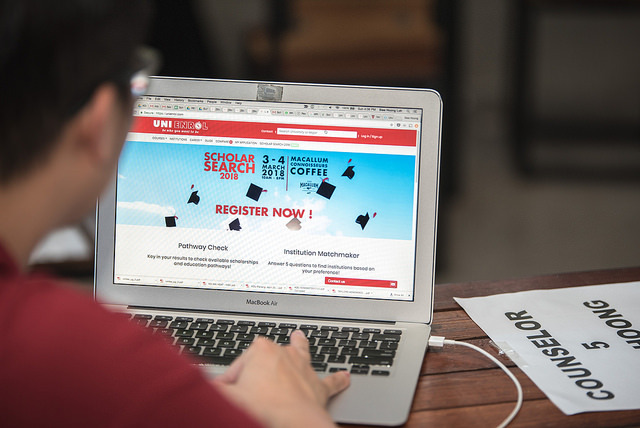 Uni Enrol is an online platform established to act as a one-stop shop for students to attain the information they need easily by providing them with the right tools and resources to make a better-informed decision. It also seeks to help students navigate the uncertainties of choosing the right course and university, and make scholarships and financial aids more accessible. 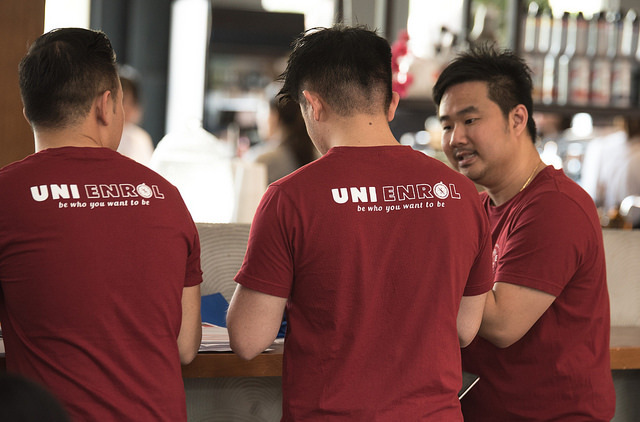 Established in Malaysia this January, Uni Enrol is still at its infancy stage but it has gained traction rapidly and connected with thousands of students since. Just four months in, the platform has already counselled more than 1,000 students and successfully matched at least 100 students to more than RM1.6 million worth of scholarships. 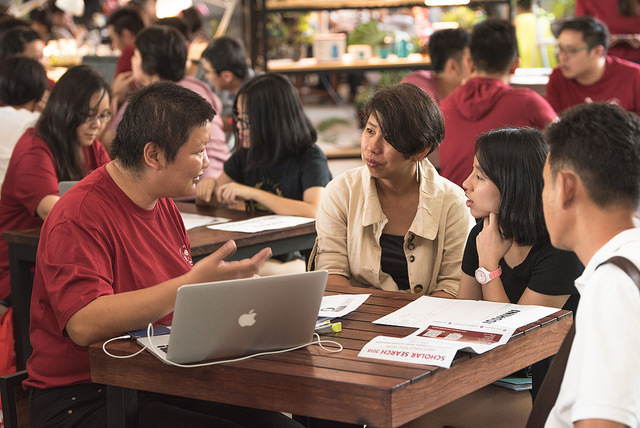 We reached out to the founder and CEO of Uni Enrol Rickson Khaw to find out more about how the platform is filling the gap in tertiary education locally. 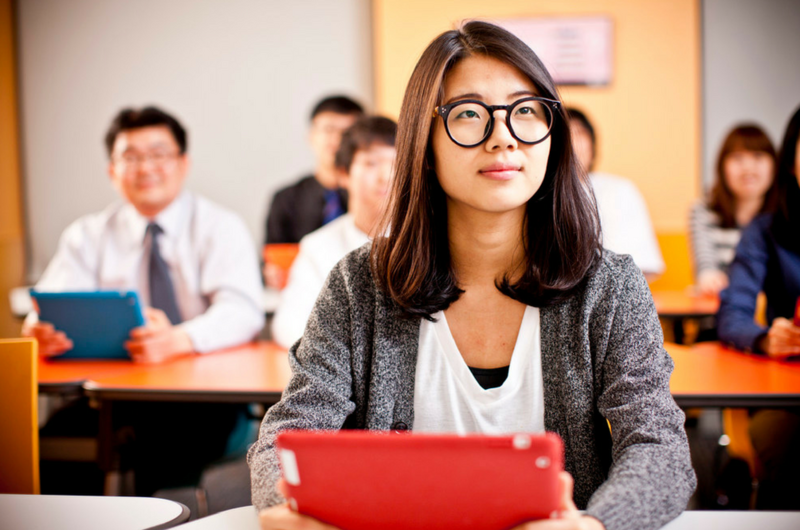 “We offer students a better way to discover and enrol into the course and university of their choice via our online platform. Our platform contains information from over 60 top universities and colleges in Malaysia with over 4,000 courses to learn about,” Khaw explained. To begin, students who are not sure where to start can use the Pathway Check to see the courses which are available that match their interest. All you need to do is fill in your exams results and you will be led to a list of options showing the courses you are eligible for and scholarships available for you. But if you have given some thought into it and you have a basic idea of what you’re looking for, you can also discover courses using the ‘Search’ function by ‘Field of Studies’, ‘University Name’ and ‘Career’. After selecting these categories, you will once again be brought to a list of results where you can filter courses based on qualification level, course duration (including full time or part time), entry requirement, fees and even overseas transfer. You can learn more about each course by clicking into the respective pages and use the comparison feature to compare selected courses and fees. There are also counsellors available for online consultation if you have any questions or concerns, completely free of charge! Once you have made your decision after exploring all options, you can then proceed to apply for enrolment fully online. As we mentioned, financial constraint is one of the key factors that limits students and parents to the universities and courses they desire. Even if you produce excellent grades, it is not easy to scrub through the hundreds of scholarships available out there and select the one that is in line with your vision and goals, let alone have access to the right channels. 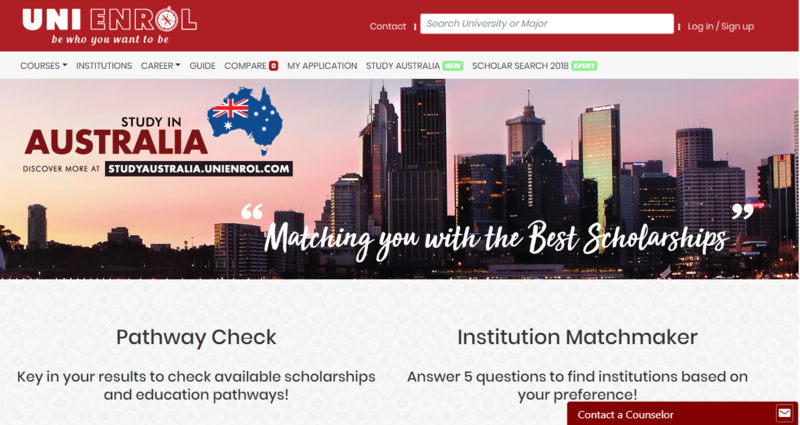 This is why Uni Enrol is also working on a setting up a scholarship matching system that allows students to key in their exam results and gain instant access to merit scholarships offered by all the universities on the platform. You don’t even have to step out of the house to do this! “We work with various parties like foundations, NGOs and corporates to channel funds or scholarships to deserving students on top of what they are eligible from universities,” Khaw shared. Recently, Uni Enrol achieved the platform’s biggest milestone to date by providing full scholarships for the Diploma in Nursing programme sponsored by Sunway Medical Centre. 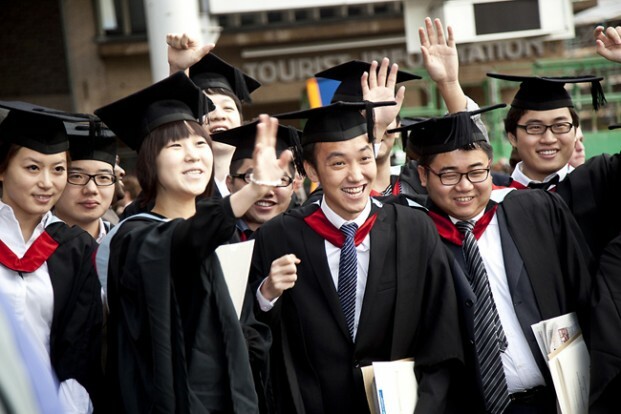 The scholarship covers tuition fees, accommodation and allowance for the students. Besides that, the platform is not only aiming to help students who are on the way to tertiary education, they are also helping Form 4 and Form 5 students prepare for the Sijil Pelajaran Malaysia (SPM) exam via Testprep. Testprep is a free-to-use question bank where students can access SPM e-workbooks, mock exams and past year papers to practise and prepare for the one of the most important tests in a Malaysian student’s life. Within less than two weeks after the launch, more than 2,500 students signed up on the platform and visited daily for their revision. “We are pleased that Testprep has played a role in helping students prepare for their SPM and we look forward to enriching the site further with more content,” Khaw said. Although Uni Enrol is not the first to have an archive of university and course information online, this basic directory format has not improved much for many years. So the platform hopes to change the status quo and add more value to anyone who uses the site. At the end of the day, we wouldn’t want to continue breeding a spoon-fed generation, would we? Students should be equipped with the right tools and resources look for answers on their own rather than being told what is best for them (something most parents may need to work on as well). “It is our hope and aspiration that students and parents alike can make more informed decisions conveniently and not miss out on opportunities available to them,” Khaw added.